DLK’s Under-Eye Circles Treatment is a safe and effective solution for people who want to improve the appearance of dark under-eye circles. 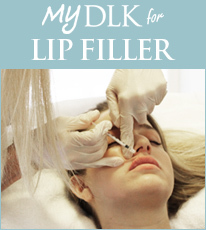 DLK on Avenue offers advanced treatment of under eye dark circles (shadows) using injectable fillers, intense pulsed light (IPL) and laser treatment. Under eye circles are the result of venous congestion and the use of injectable fillers in this area acts to raise the skin from the underlying vascular bed. IPL and lasers work to shrink the veins which cause darkening. A facial injectable is a gel-like substance injected into the skin. The goal of an Injectable Filler is to improve your appearance by filling hollows and restoring loss of volume. There are many Injectables including Hyaluronic Acid, Calcium hydroxylapetite, and Collagen. Hyaluronic acid is a normal component of human skin that holds water and causes a plumping effect. Injectable Filler Treatments take approximately 15-30 minutes and results are immediate with minimal recovery and little-to-no downtime. Pre treatment medications such as aspirin, coumadin and some anti inflammatory medications can make patients more prone to bruising and should be avoided unless medically necessary.